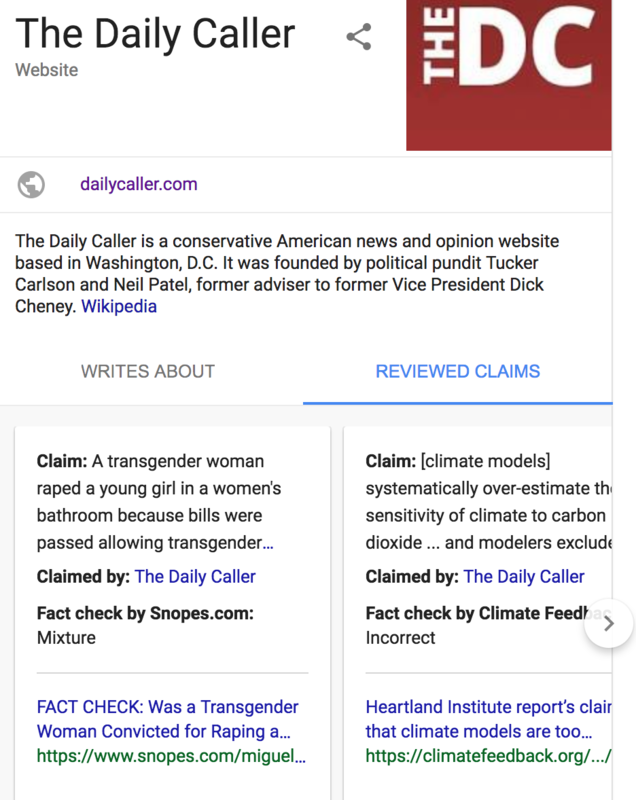 There were two main problems with the fact-check widget, which appeared on the sidebar of Google’s search results for very few sites and publications. First, the legitimate outlets chosen were virtually all ones with conservatives audiences. The Daily Caller, for example, was given such treatment, while sites like Vox, Slate, The Huffington Post, Mother Jones and several others clearly on the left side of the political spectrum were not. Second, and perhaps most importantly, many of the fact-checks were wrong. One of the purported reviewed claims was for an article that straightforwardly reported that yet another member of special counsel Robert Mueller’s investigative team was a donor for former Secretary of State Hillary Clinton and former President Barack Obama. Google attributed the fact-check to The Washington Post, something it’s vice president of communications took issue with. After days of back-and-forth with representatives at Google, TheDCNF was told it was probably due to the algorithms, something the company doesn’t talk about as a matter of internal policy. 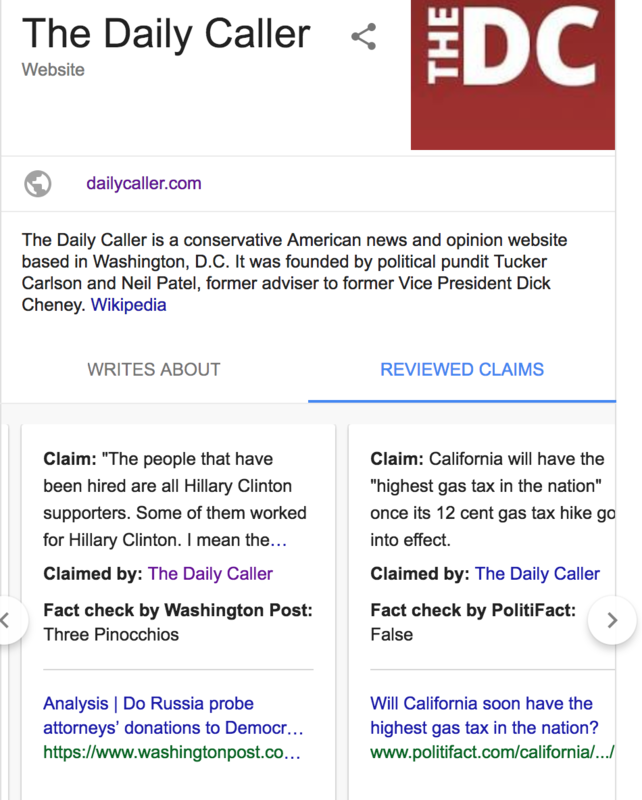 Google removed that single purported fact-check at the time of TheDCNF’s initial inquiries, but there were several others that were also false, if not all of them. The whole program has been suspended for the foreseeable future as of Friday. Google engineers are reportedly heading back to the drawing boards to see how they can vastly improve a fact-check system, while it remains to be seen if the company will abandon the project altogether.